According to Amadeus (13 AUG 2013), RwandAir added the B737-700 on some flights to Entebbe, this week. The airline also made some adjustments on the Entebbe service. Timetables ar in local times. Timetables can change at the last minute. Effective from 13 AUG 2013. 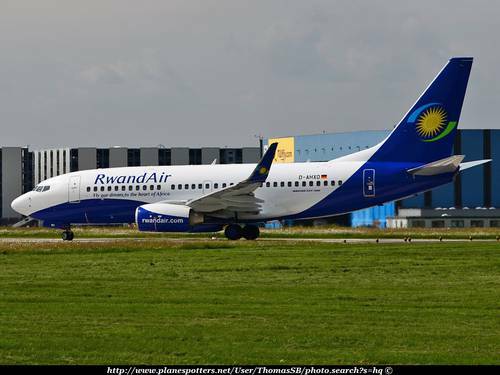 According to Amadeus (09 JAN 2013), from 26 January 2013, RwandAir will reduce flights to Entebbe, but will add flights to Bujumbura. WB 424 / WB 425 are deleted on Tuesday and Friday. WB 420 / WB 421 are deleted on Tuseday, Wednesday and Friday. WB 480 / WB 481 are now operated on Monday, Thursday, Saturday and Sunday. These flights are already operated on Wednesday.